Application: Turnkey assembly system drives multiple and different fasteners, with variable target torque and drive planes. 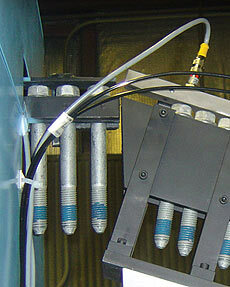 Automated machine handles very small fasteners to extra-large high torque bolt and nut tightening. 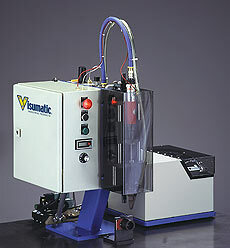 Visumatic’s streamlined and ergonomically designed systems make deciding to automate easy. Our VPD 4.2 Stand Alone Automated Assembly Machine systems supply straight forward function and outstanding performance. 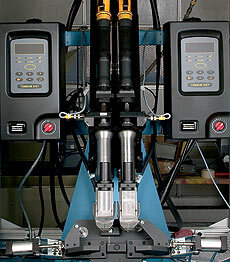 All Visumatic Power Driver Systems are efficient, durable and accurate. • Basic to automated sensorized "Smart Fixtures"
One Movement. Zero Adjustments. Maximum Flexibility.